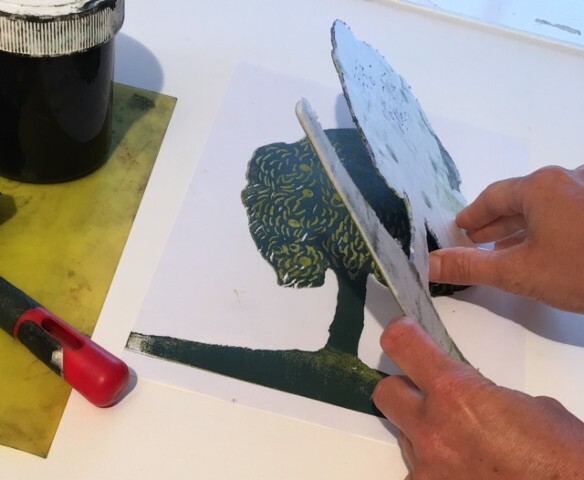 In this half day art workshop suitable for years 4, 5 and 6, Children will create their own relief prints of a native tree, participate in a collaborative class artwork and learn about the environmental and social importance of planting trees in the wheatbelt. This is a hands-on activity where children will learn the process of making a two colour repeat print with the use of printing ink, rollers and foam tiles. The workshop also includes a short power point presentation with images of community re-vegetation projects in the wheatbelt.